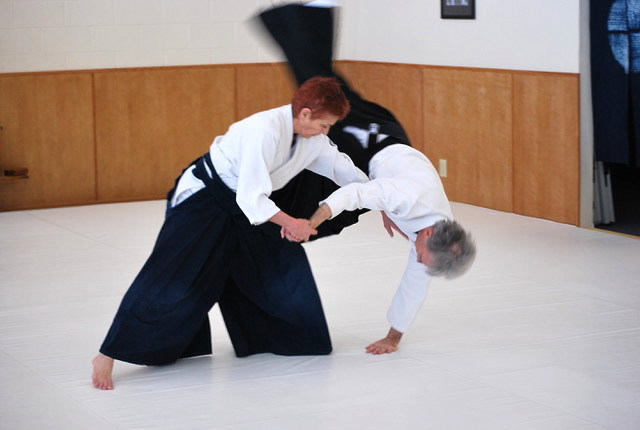 Kristina Sensei began studying aikido at New York Aikikai, under Yoshimitsu Yamada Shihan, in 1975, while working as a professional dancer. 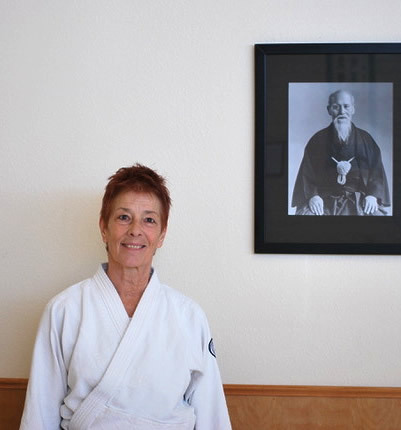 In 1986 she and her husband, Rikko, moved to New Mexico and began training under T.K. Chiba Shihan. They moved to San Diego and joined the kenshusei program in 1989. After graduating, they returned to New Mexico for some years before moving to Hawaii and founding Kohala Aikikai in 1995. Kristina Sensei teaches seminars in the U.S. and Europe and is a member of BNA’s Senior Council. She has also been a Feldenkrais Practitioner since 2003. Kristina Sensei has been a friend of ASBK for many years. When she and Rikko returned to New Mexico from Hawaii in 2015, she graciously offered to teach occasional classes at our dojo. She now teaches regularly at ASBK, on the last Saturday of each month.